This old tree has suffered a lot more damage since I photographed it here the gales having taken their toll. This was shot about a half hour before sunrise in the bitter cold of freezing mist hovering around minus 26 degrees celcius. 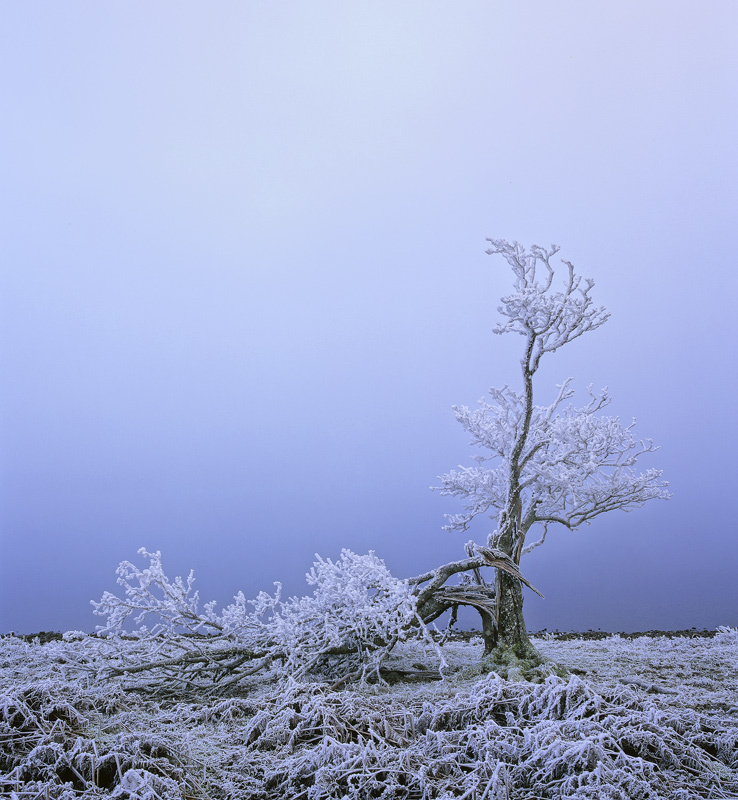 The tree was heavily hoar frosted but faint colours like the green moss at it's roots and red bracken manage to pierce the twilight blue cast to add limited colour to this freezing composition.